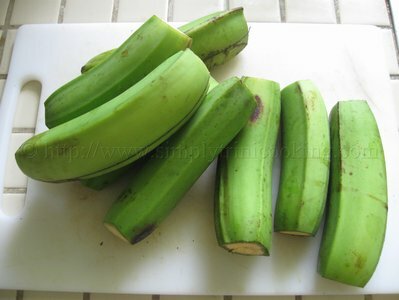 With the success of the french fries I decided to try the same technique with plantains. 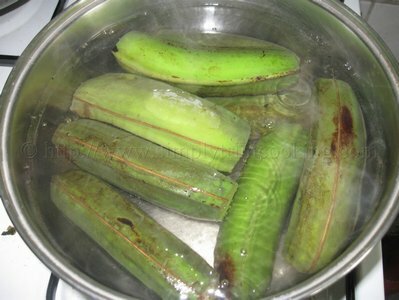 And to my surprise it came out perfectly, just like what you would buy from the supermarket. 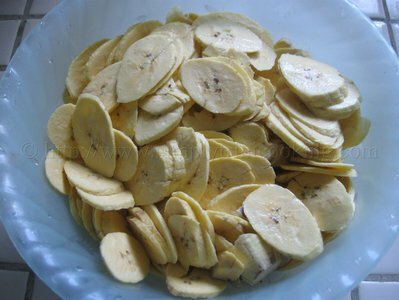 To me, this was a plus because this meant that I didn’t need to buy plantain chips whenever I felt for some. Which could be like all the time lol! 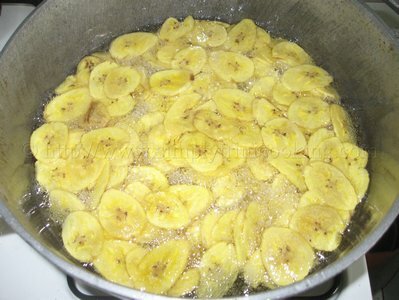 One thing I would note though, is that you make sure the plantain chips are dry and not sticking to each other before adding them to the pot, because that is how they would fry. 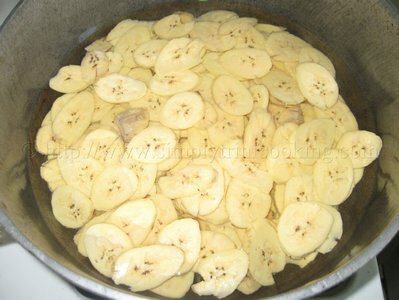 And you would have a lot of plantain chips clumping together. So I hope you enjoy this one. I certainly did and so did my family because it was finished in no time! Really! 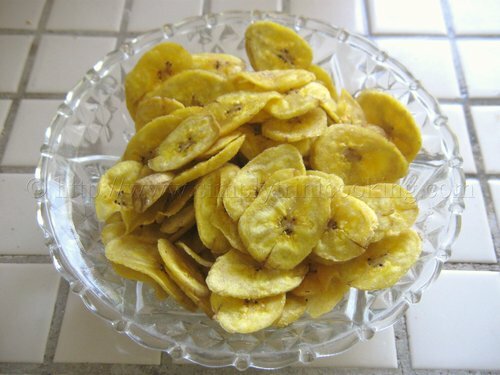 in no time….Here’s Plantain Chips. 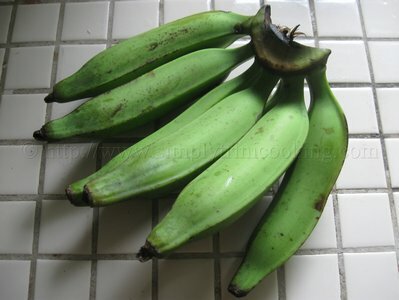 A hand of green plantains. 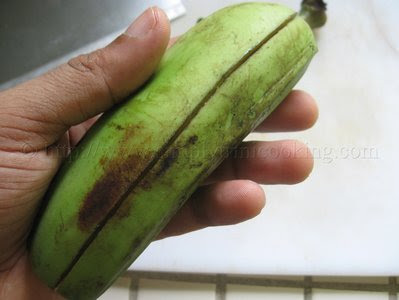 Cut off both ends of the plantain and make a mark on the skin. 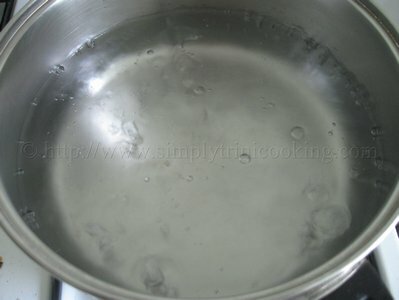 Bring some water to boil. 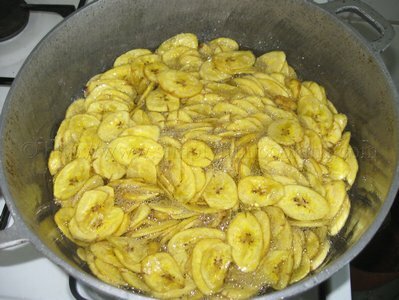 Turn off the flame and add the plantains. 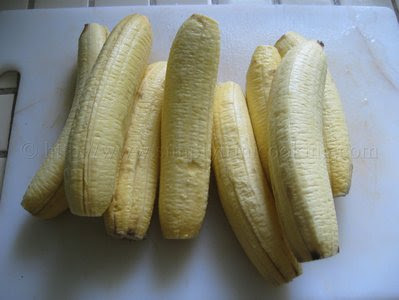 Leave for 2 -3 minutes until the skin changes colour. 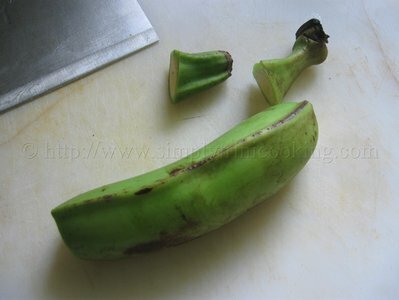 Note: Submerging the plantains in hot water allows for easier removal of the skins. I usually remove the skins under a flowing tap. 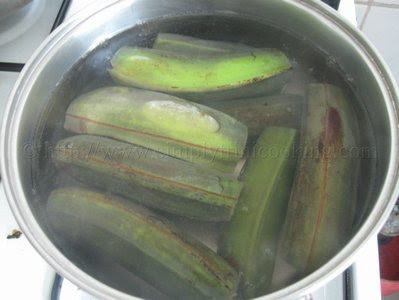 Wash the plantain, add more water and refrigerate for 1 hour. 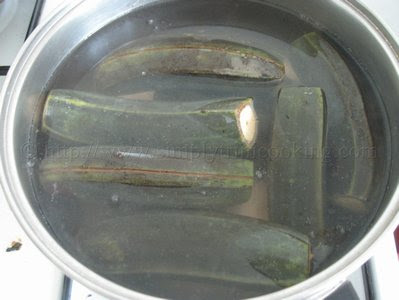 Note: You can also add ice cubes similar to the french fries to accelerate the process of lowering the temperature. Drain and pat dry with a cloth. Note: You have to dry every single chip and make sure none of them stick to each other. 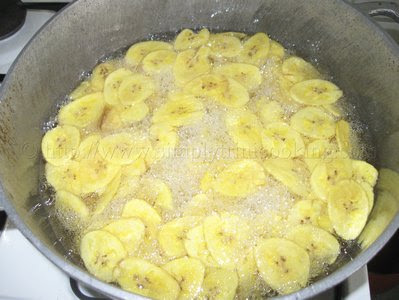 Place in a large pot then add enough oil to cover the plantain chips. Fry on a low flame until golden and floats. Drain on paper towels. 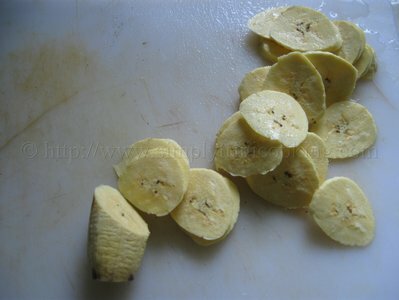 Note: As a variation I’m thinking of adding the salt when I’m refrigerating the plantains so that the salt would soak into the plantain chips. Then there wouldn’t be a need to add salt at the end…Just a thought! 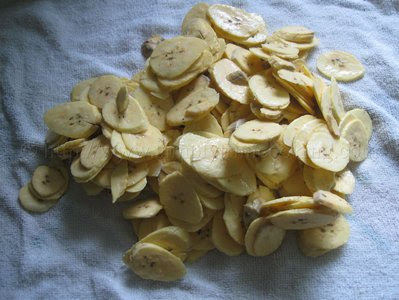 See how easy that plantain chips recipe was!